If you're looking to get away from the tropical weather of other Malaysian destinations, then Cameron Highlands is the place for you. The hill station is home to lush greenery, mountain peaks, waterfalls and tea plantations. With a weather to die for, Cameron Highlands remains one of the more preferred spots in Malaysia. So, find out why Cameron Highland is worth all the fuss. Cameron Highlands is situated in Pahang, about 220km from the capital city of Kuala Lumpur , it is one of the largest hill stations in the country, covering an area of 712 square kilometers, which makes it as large as Singapore. It is also the highest elevation in Malaysia that can be accessed by road. The 1829m elevation makes sure that the weather is significantly cooler than other regions in the country. Cameron Highlands is also known for it's diverse natural beauty, which in one of the main reasons behind its reputation as a top rated tourist destination. Visitors can experience this natural beauty in places such as 'Gunung Brinchang', a mountain peak that overlooks the whole of Cameron Highlands and the nearby state of Perak. From here, visitors can take walk to the Mossy Forest, a forest reserve, which is covered in moss and trees that are more than a few hundred years old. Other options include waterfalls such as the Parit Waterfall and the Robinson Waterfall. Another major attraction here is the Rafflesia Flower, which is considered to be world's largest flower. The flower grows at a location called Blue Valley, which is an hour away from Cameron Highlands. Tourists can join a guided tour in order to see this magnificent sight. Other major attractions include the Time Tunnel Museum, Bharat Tea Plantation, Lavender Garden and Sam Poh Temple. As for activities, visitors can try trekking , which is extremely popular here. 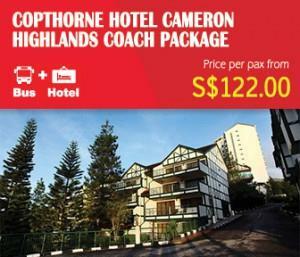 There is also a 18 hole Golf course for Golf lovers known as the Cameron Highlands Golf Course. Avid Golfers are most welcome to practice their swings here. Other activities include guided jungle tours, tea plantation visits, camping etc.